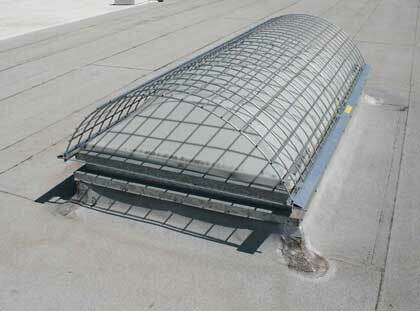 FlexGuard Permanent is a freestanding guardrail system that does not penetrate the roof membrane. 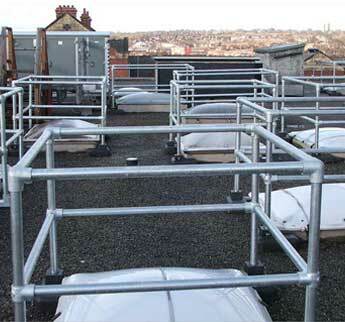 It’s modular design takes the complexity and high cost out of roof edge protection, providing a guardrail system can ensure the safety of workers who access a building roof top. 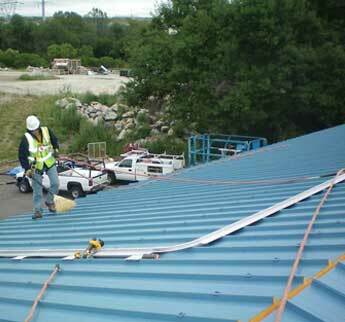 Additionally, FlexGuard Permanent’s unique design provides long-term durability and is easy to install. 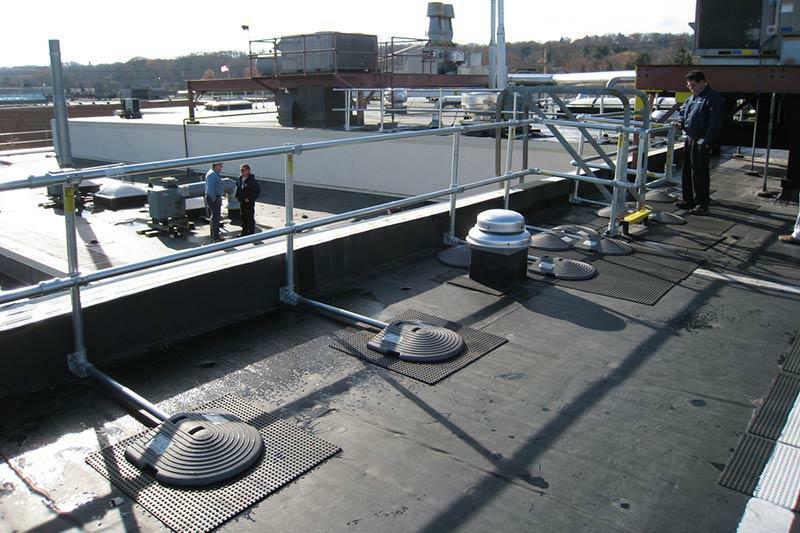 FlexGuard Permanent protects both workers and your rooftop. 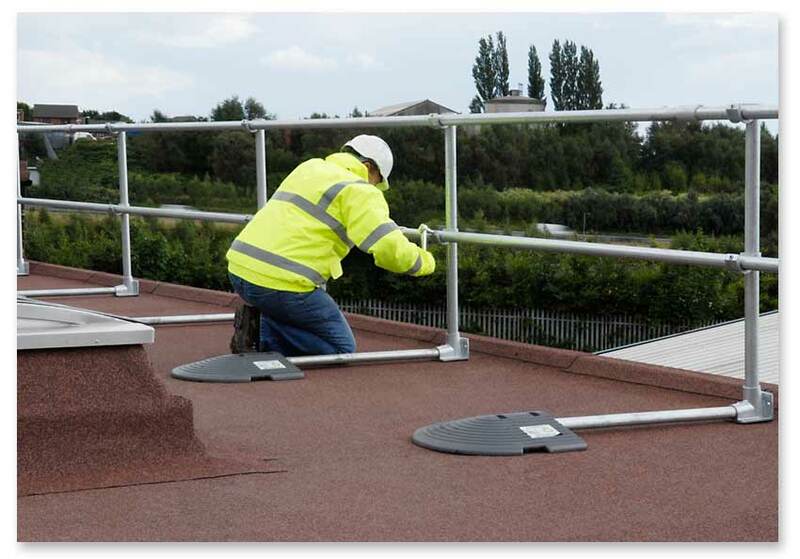 FlexGuard Permanent is a free-standing guardrail that does not require drilling, special anchoring or penetration of the roof membrane. 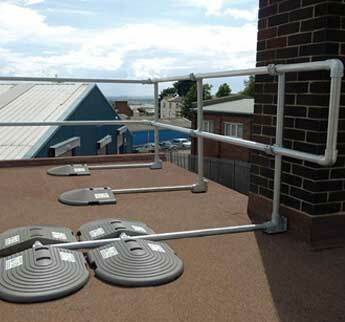 Instead, the patented counter balance system locks the railing in place without the need to penetrate the roof. 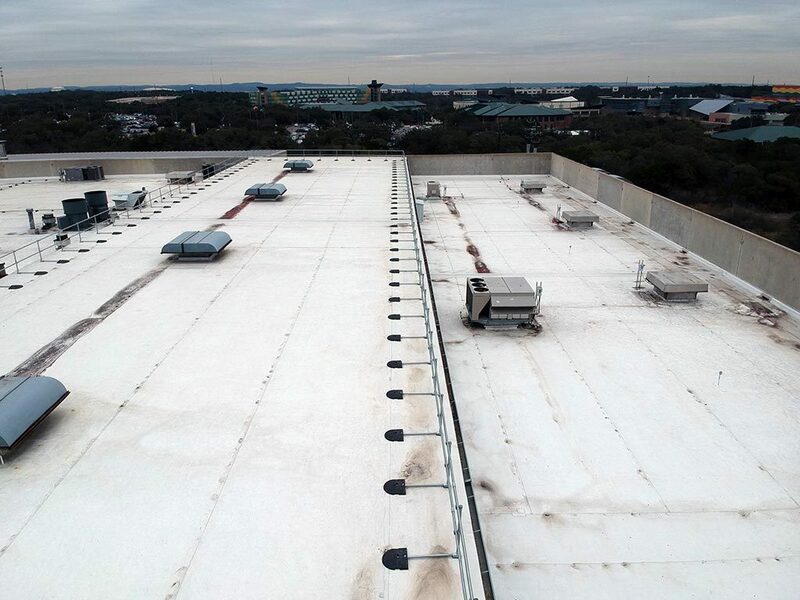 Padded kickboard fittings provide extra protection for the rooftop. 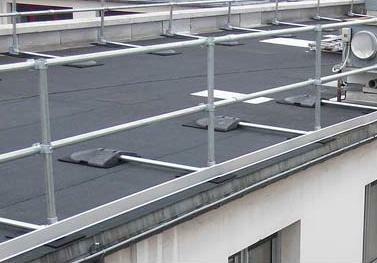 The FlexGuard modular design and minimum components takes the complexity and high cost out of roof edge protection. 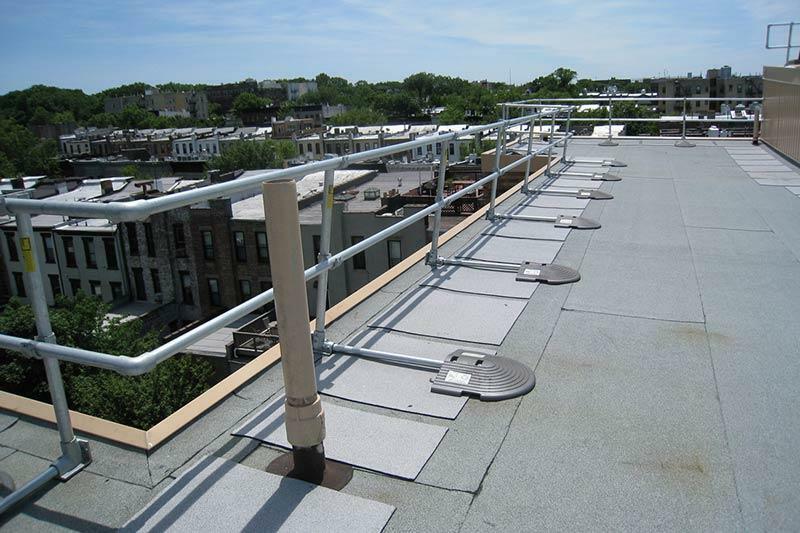 No welding, bending, threading or special tools are required to complete a reliable and safe rooftop railing installation. 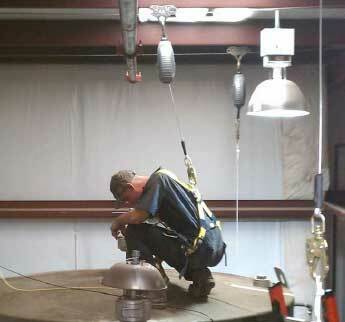 Two people can install a 600 foot run in 8 hours, saving time and money. 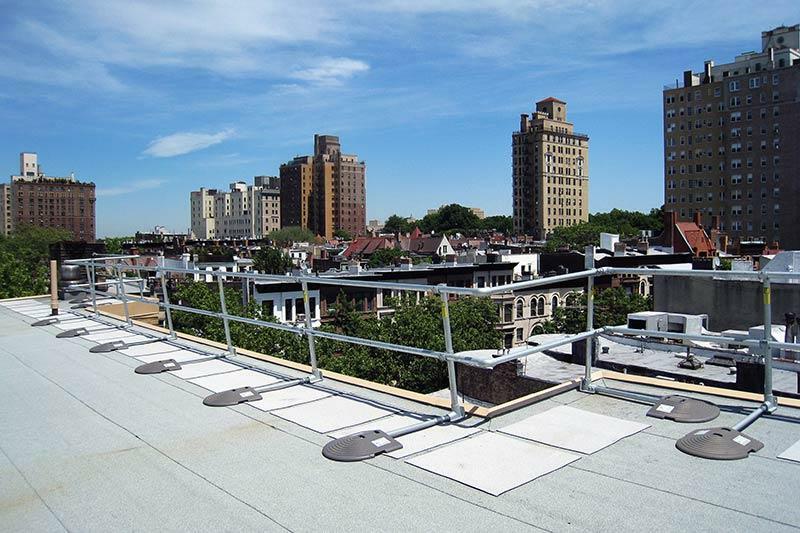 The railing system’s pre-fabricated design, utilizes lightweight modular counterweights allowing maximum flexibility on site. 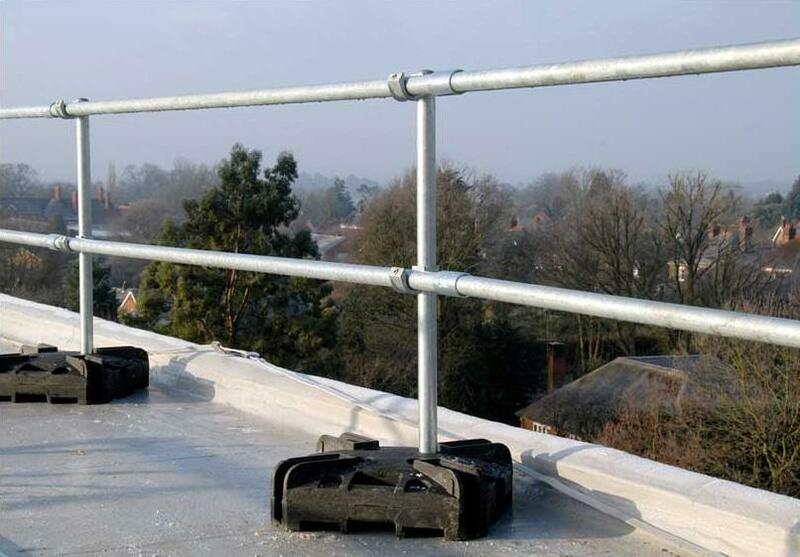 Guardrail sections can be taken down or added when needed. 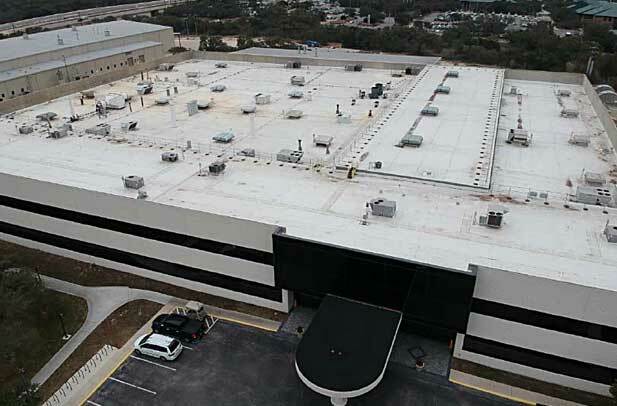 FlexGuard Permanent is adaptable to almost all variations of flat roofs, split-level and low slope roofs whether they are circular, square, rectangular or multilevel. 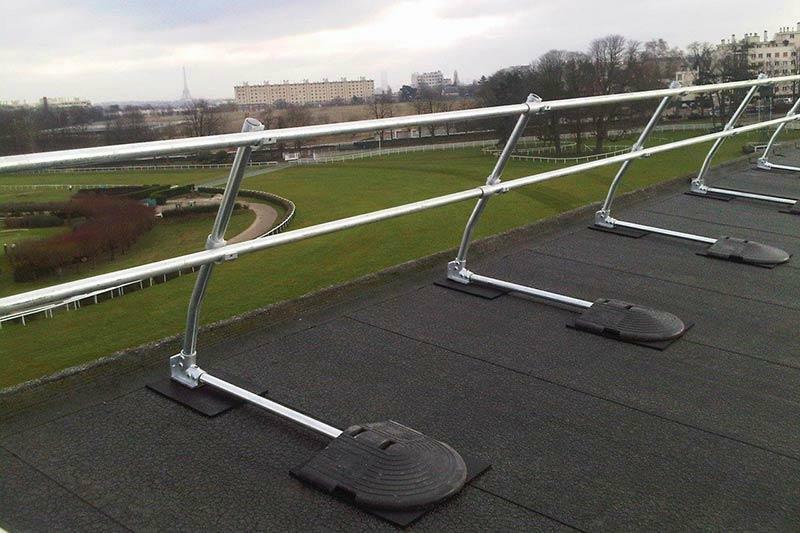 FlexGuard’s adjustable uprights allow up to 11 degree raking from vertical movement. 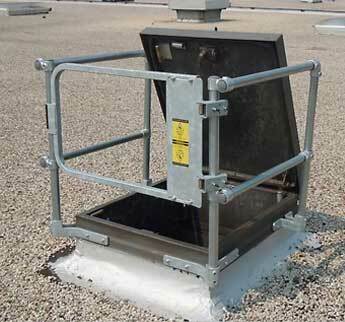 FlexGuard Permanent can be used for walkway demarcation, open shaft and stairwells, fall protection around roof top equipment, stairwells, open elevator shaft fall protection, skylight fall protection, and other safety applications. 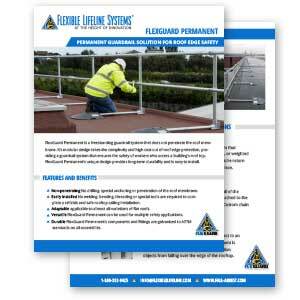 FlexGuard is a maintenance-free reliable solution for roof edge protection. 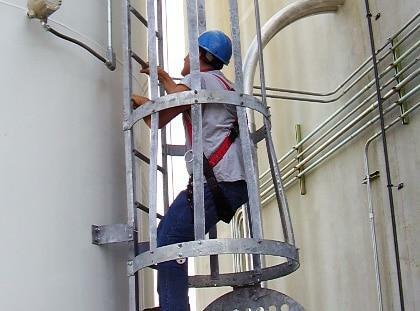 FlexGuard Permanent’s components and fittings are galvanized to ASTM standards on all assemblies. 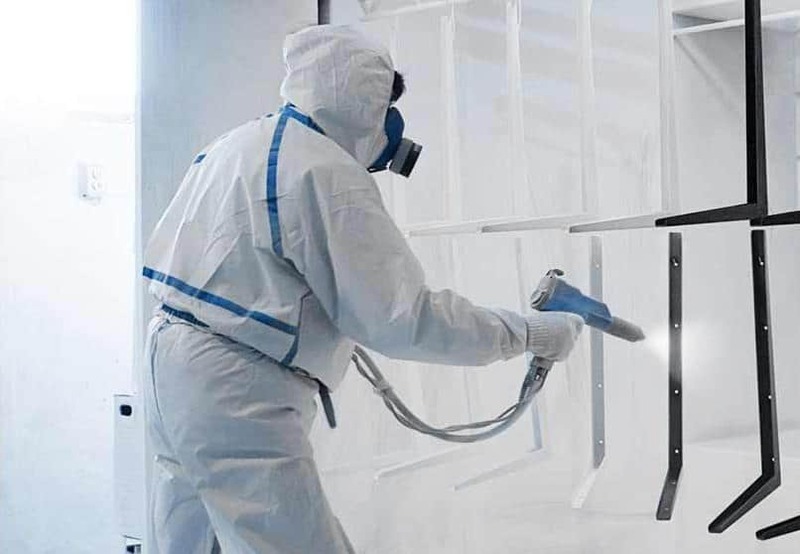 These strong, rigid connections make FlexGuard a corrosion resistant system which will last much longer than inferior powder coated systems with welded joints. 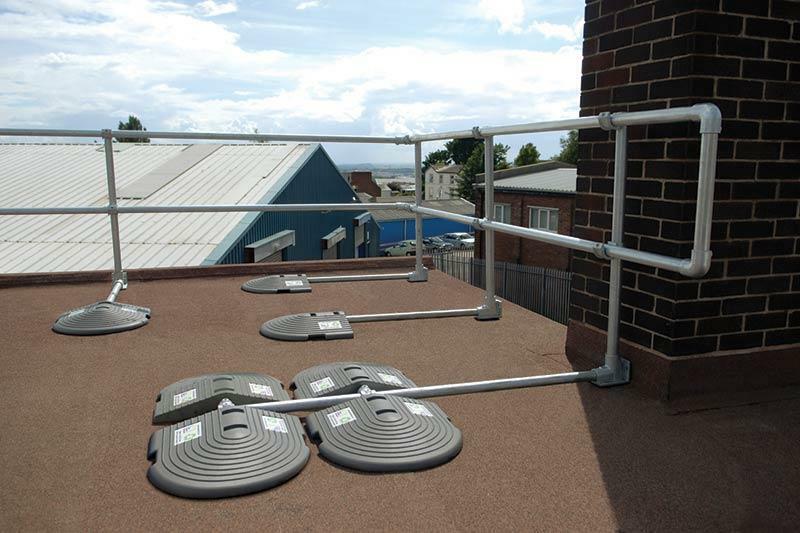 Each FlexGuard counterbalance is made from 100% recycled PVC. 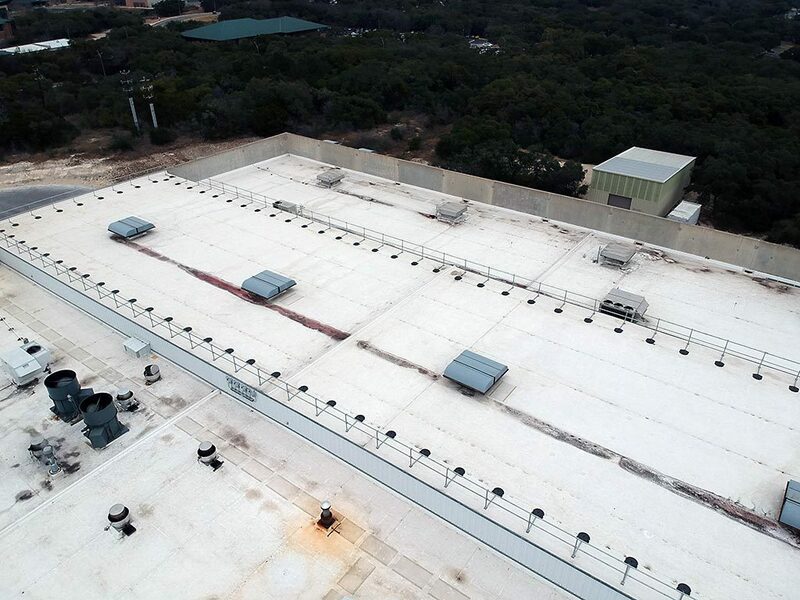 FlexGuard Permanent roof guardrail system has a variety of options and features, so there’s no need to comprise when developing the perfect custom solution for protection from fall hazards. Post Weight System uprights are supported with weighted bases. 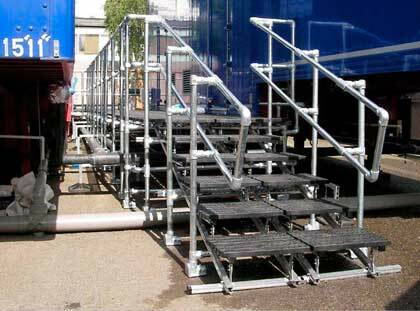 This kind of base has a small footprint making it easier to fit the railing in tighter spaces. 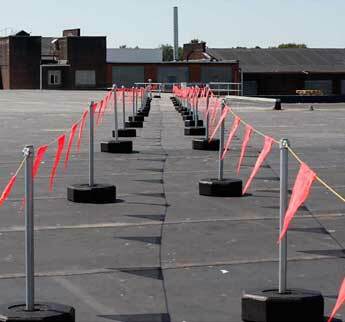 Post weights don’t stick out into the walking area reducing trip hazards. 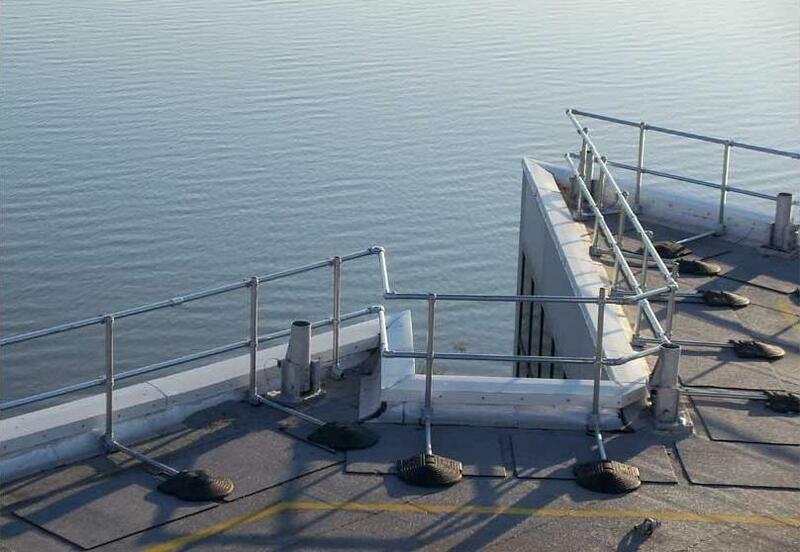 This system does require return sections of railing to anchor it in place. 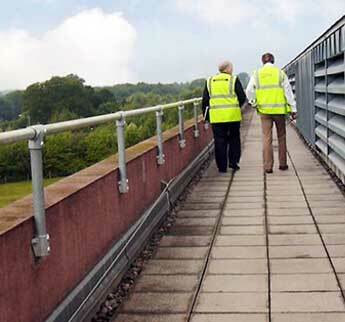 With the counterbalance system, the railing uprights are supported by spreading the weight out. 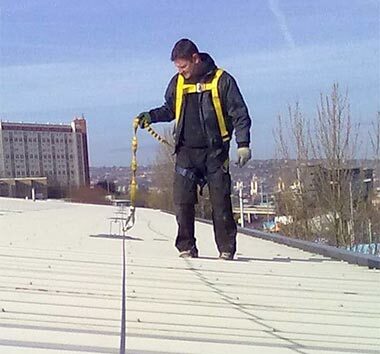 This reduces the weight strain on the roof. 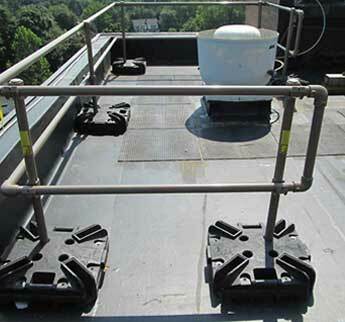 The counterbalance system does not require return sections of railing to anchor it in place. 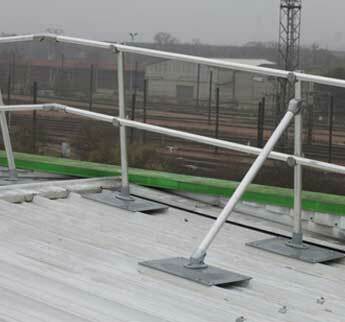 Infill panels act as a fence by attaching to the top and bottom rail of the system. 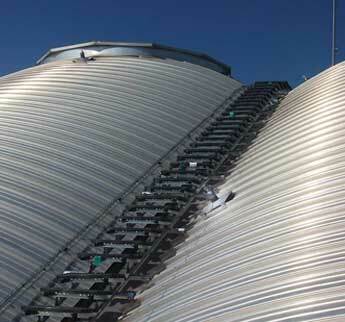 Only approved materials can be attached to the system due to wind loading requirements. 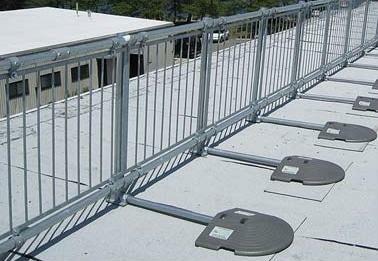 Custom chain link and picket options are also available. 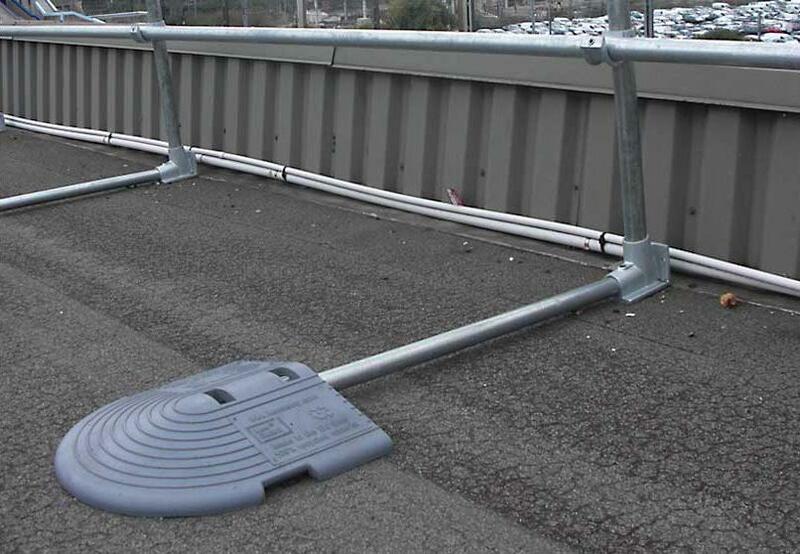 The base of the FlexGuard Permanent system is designed to connect to an extruded aluminum toeboard. 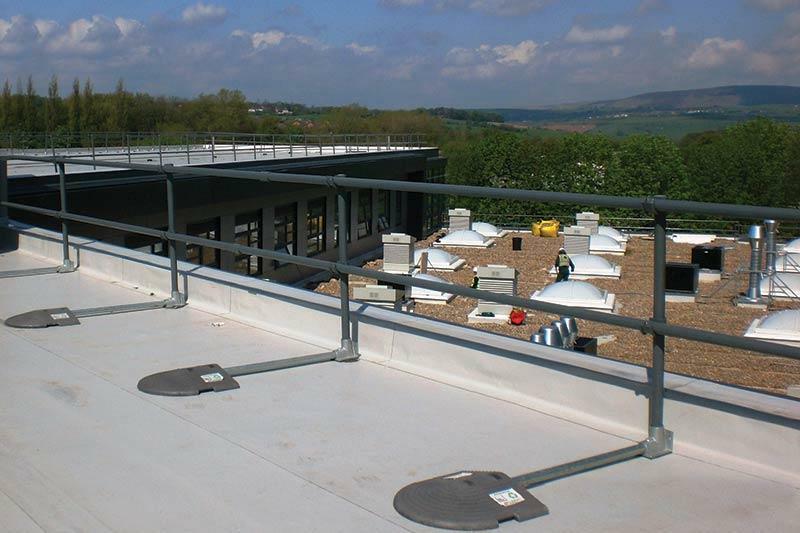 This component of the railing is needed when there is no parapet to protection objects from falling over the edge of the rooftop. 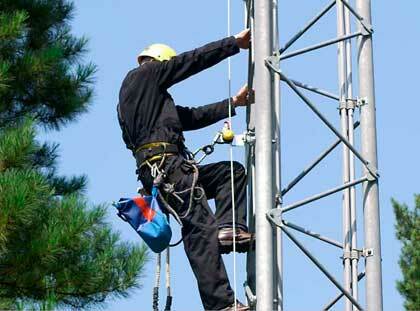 Flexible Lifeline Systems provides the level of service you require to install your system. 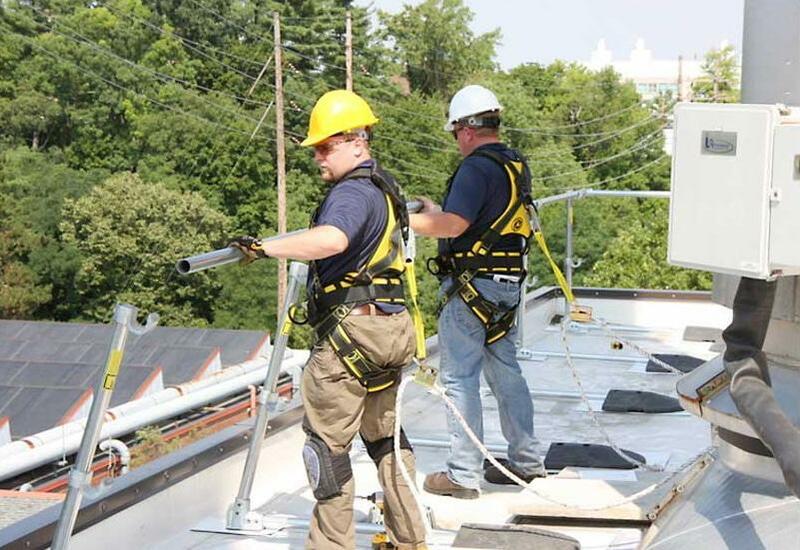 Wether it’s turnkey installation services where an FLS crew installs the system completely, supervision of a workers you provide, or certification of the railing after it’s been installed, FLS is ready facilitate the installation of your FlexGuard Permanent system according to your specific needs. 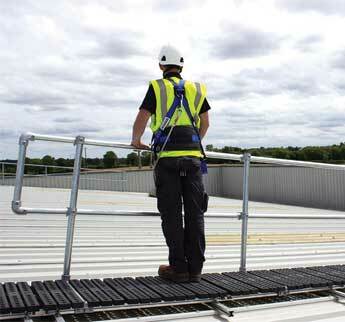 The FlexGuard Permanent railing system come standard as galvanized metal. 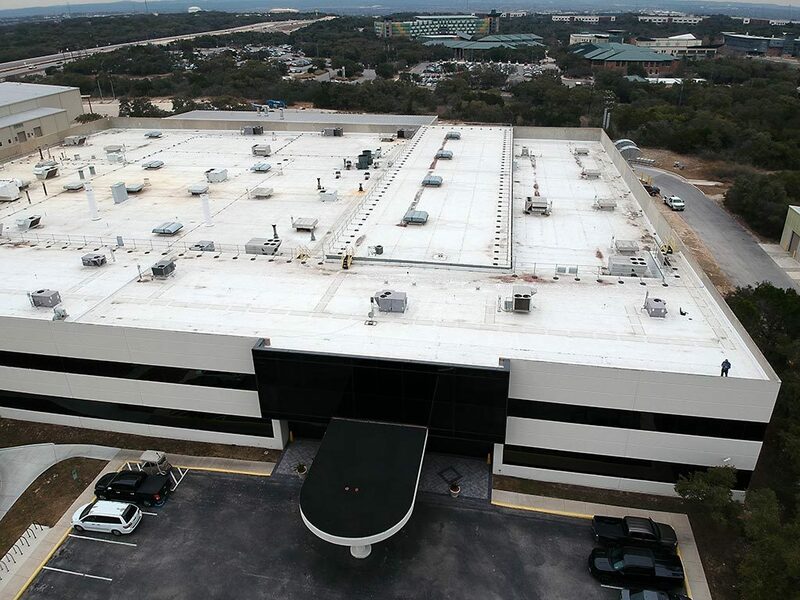 The system components can be powder coated in their entirety to any RAL color allowing the system to coordinate with the building color when needed.